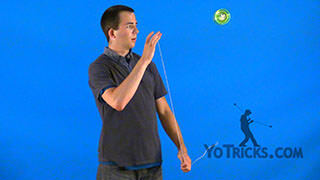 Learn how to do the Vertical Boingy-Boing Yoyo Trick. 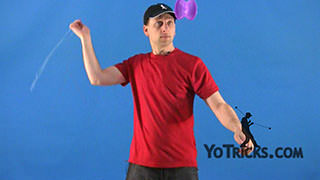 Vertical Boingy-Boing Yoyo TrickThis trick is the Vertical Boing (or Vertical Boingy-Boing) and it looks like this. 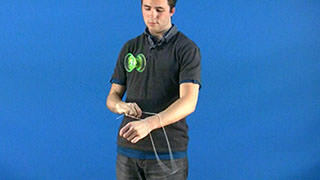 I did a little bind at the end. We will get to that. The Vertical Boing is probably the easiest of the Boingy Boing tricks. 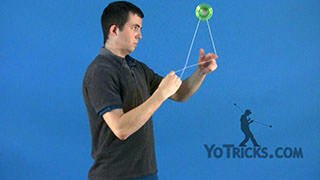 That is because the motion of the yoyo helps you figure out the timing a little bit. 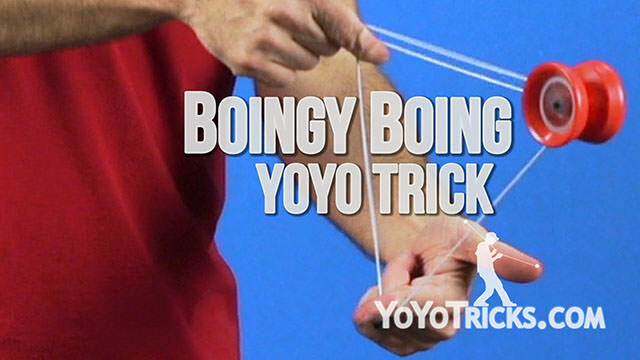 So, even though it is more impressive than your regular Boingy-Boing, it might actually be a little bit easier to learn. 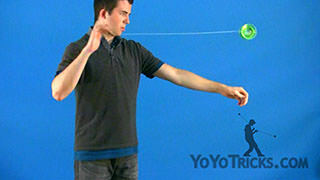 First thing, you are just going to toss it up, get it on the string. 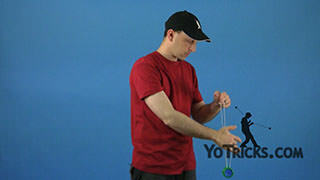 You are going to pinch the yoyo (string) in your thumb, just like this. You are going to take your left-hand first finger and stick it right into the string. 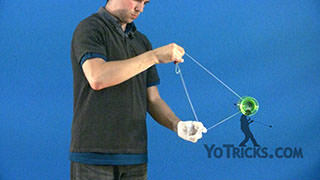 You may notice that I am wearing a cotton glove. 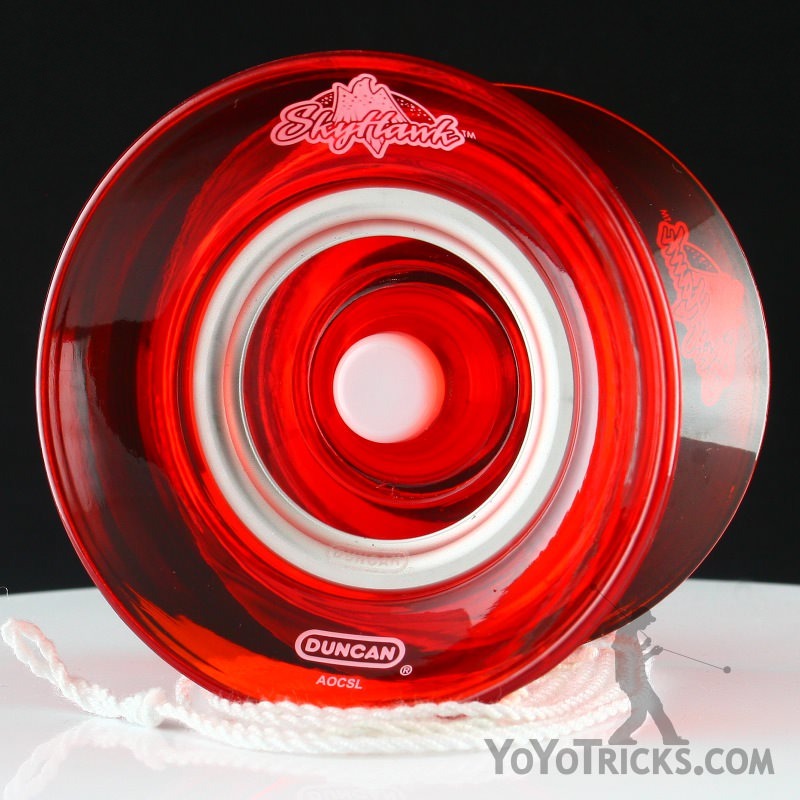 We sell those on the site. 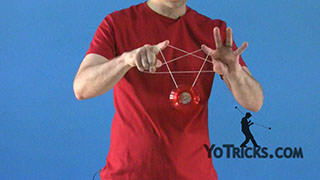 This will help keep the yoyo from burning you hand when you are doing tricks like this. 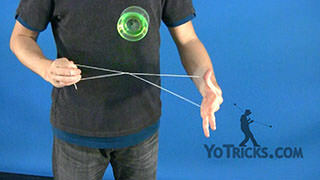 Again, you just take your finger and push it forward into the string. 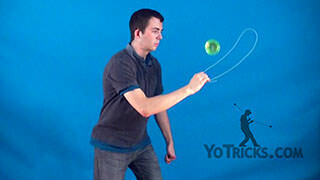 All you are really doing, is you are just going to use your back hand to spread your hands apart. 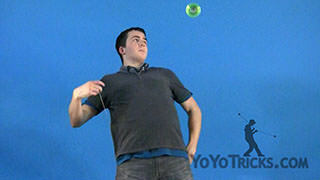 When the yoyo is about to hit the top string you bring your hands back together and that is what completes your boing. 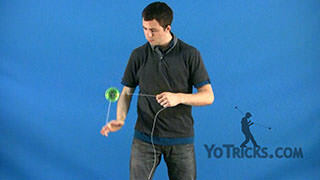 When you are first working on this trick one of the things that you may find happening is when you pull your hands apart the yoyo does not go up very high. 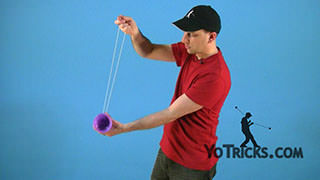 The reason for that is that you need to bring your hands together to give the string the room that it needs to get its full height. 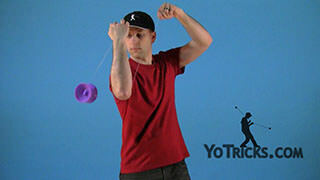 That is one of the more challenging things about the trick, getting used to that motion. 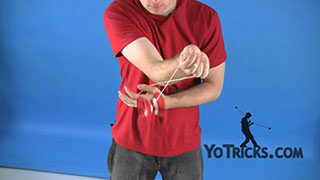 The other thing that will make this trick more difficult, is if you don’t keep the string perfectly perpendicular to your body, your finger, I mean. 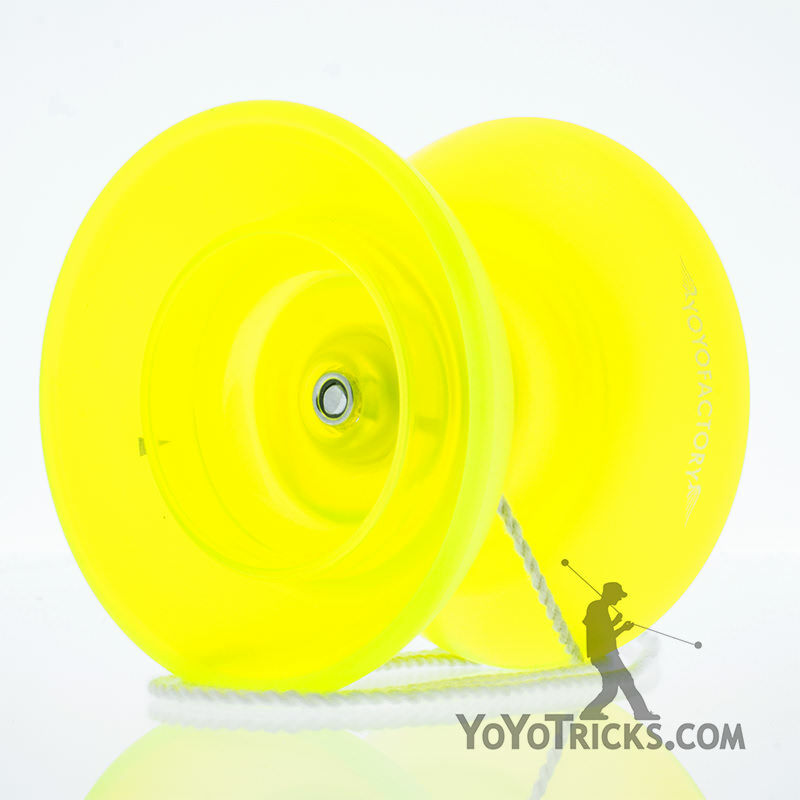 The strings can get off a little bit and that can ruin the trick as well. 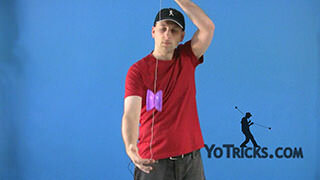 The other thing I have already mentioned, but you want to make sure that just about all of the action is coming out of your back hand. 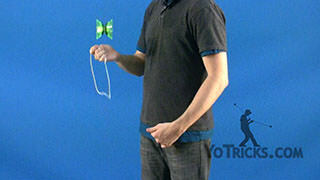 You can see that my front hand really isn’t moving a whole lot. 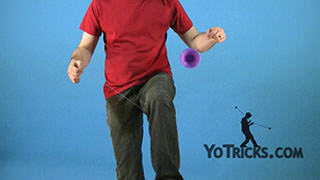 Again, that just helps it stay under control, there are less things to think about if you are only moving your back hand, so that should help you out a little bit. 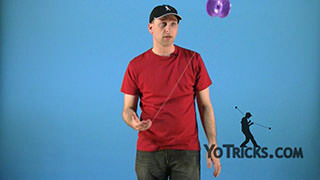 Once you get really good at the trick, if you want to work on the bind, all you are really going to do, is as the yoyo is going up and it hits that top string, after it hits that top string, but before it reaches its height, you are going to let the string go and pull down with your yoyo hand just a little bit and that should cause the string to bind around the yoyo and come back. 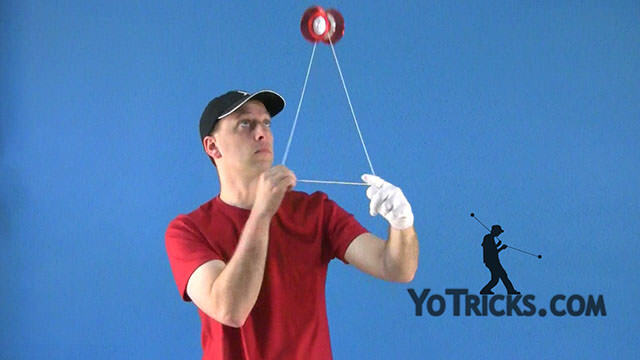 You want to make sure that you have a lot of spin on the yoyo, and the timing is absolutely critical. 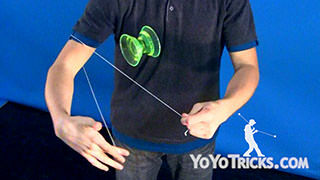 If you let go of this string before the yoyo has touched the top string it won’t work. 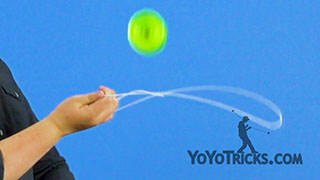 If you let it go after it has reached its peak and it has already started to fall it won’t work. 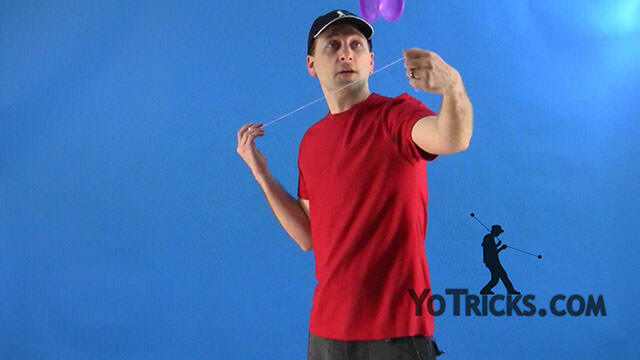 The key is, once you get the timing right, you just pull down – just a little tiny bit – that seems to help it snag and come back, and bring the yoyo back to your hand. 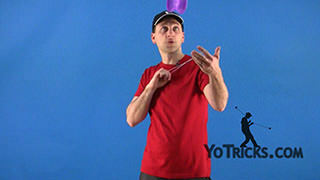 So once you have the Vertical Boings, once you have the bind down it is just a great trick, you can throw it in anywhere, and that is your Vertical Boing.